David S. Fischer has been with the firm of Fischer and Burstein P.C. since 2005. He represents individuals and corporations in a wide variety of civil matters. Mr. Fischer handles a large amount of residential and commercial real estate and business contracts and closings. For his commercial clients, Mr. Fischer has engaged in negotiating, drafting, and implementing multi-party international agreements including joint ventures, financing, and mergers and acquisitions. He additionally advises corporations and not-for-profits on general corporate matters and governance. A significant portion of Mr. Fischer's caseload is Surrogate's Court practice involving estate and trust proceedings. He has handled numerous complex estate administration, ancillary administration, probate and lost will proceedings. He has frequently litigated will and accounting contests as well as represented family members in kinship hearings. He has aided his clients in the recovery of considerable looted, missing, and escheated assets. Over the years Mr. Fischer has drafted and advised on hundreds of Wills and other estate planning documents. An active community member, Mr. Fischer provides various pro bono services for local community and religious organizations. 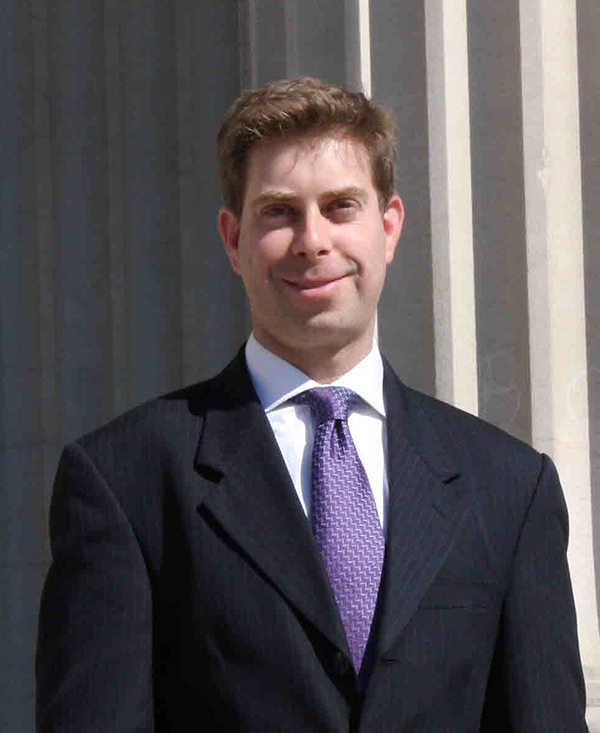 He is a member of several professional organizations including the American Bar Association (Real Property, Trust and Estate Law Section), the New York State Bar Association, the Queens County Bar Association (Surrogate's Court, Estates and Trusts Section), the New York County Lawyer's Association, and in on the Wills and Trusts panel of the New York City Bar Legal Referral Service. He has published numerous legal articles, and has also appeared on television, lecturing on the perils of identity theft. Mr. Fischer's bar admissions include the Supreme Court of the United States, the Courts of the State of New York, the Courts of the State of New Jersey, the United States District Courts for the Southern and Eastern Districts of New York, the United States District Courts for the District of New Jersey, the United States Court of International Trade, the United States Tax Court, and the United States Court of Appeals for the Second Circuit. Mr. Fischer received his J.D. in 2005 from Benjamin N. Cardozo School of Law and also holds a B.A., with honors, from Queens College (CUNY). He lives in New Rochelle and is married with two boys. Fischer, Stanley; Fischer, David; Del Percio, Leah; Enforcement of Foreign Judgments in New York , Nassau Lawyer, Vol. 59, No. 3, p. 11 (November 2009). First Global Report of Restitution of Jewish Property 1952-2004, Steering Committee on Restitution of Rights of Jewish Property, State of Israel, (2005), http://www.law.whittier.edu/pdfs/holocaust/Report_Restitution_Final.pdf. David S. Fischer, Memorandum of Law in Support of the Great Neck Estates Eruv Application, (2005), http://www.jlaw.com/Briefs/GNE-Eruv-Memo-3-06.html. © Copyright 2019. Fischer and Burstein, P.C. All rights reserved. This is Attorney Advertising. This web site is designed for general information only. The information presented in this site should not be construed to be formal legal advice nor the formation of a lawyer/client relationship. Prior results do not guarantee a similar outcome. *Submitting the case evaluation form does not guarantee the formation of a lawyer/client relationship. This website is designed and developed by The Public Relations and Marketing Group.